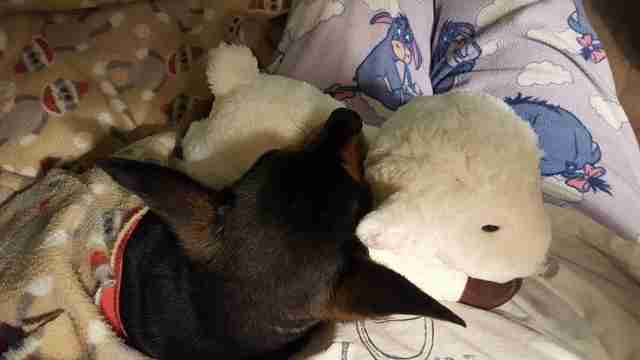 He misses her so much, but his family and his new stuffed animal are helping him get through it. 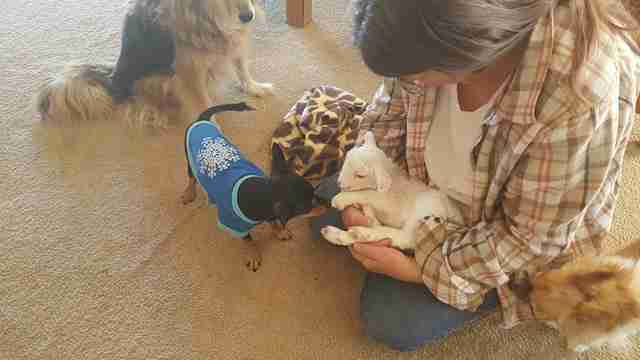 Paddy the Chihuahua was rescued after he was found trying to cross a busy four-lane highway. He was very thin and frail, and kept falling over due to a misaligned disc in his neck. He was adopted by a family who understood and helped him through his differences — and a few months after he was adopted, he got a sibling who also knew a lot of struggle. 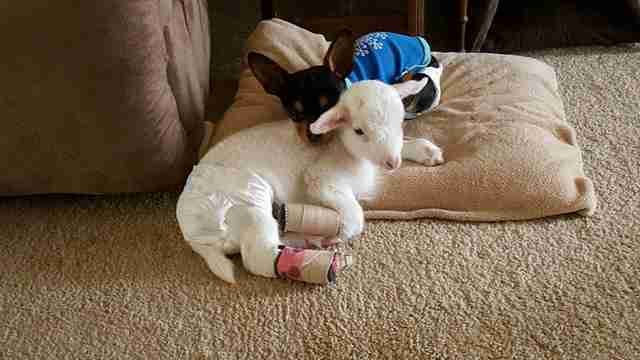 Lily the lamb was the smallest of a set of triplets, and when she was in the womb, her legs didn’t have enough room to develop correctly. After she was born, her mother rejected her in favor of her healthy siblings, so she was brought to a vet in an attempt to save her. Unfortunately, the vet did not have the time or resources to help her, and was planning on euthanizing her — until he found someone who was willing to take her in. Janell Jensen received a call from the vet asking if she would take Lily in and immediately agreed. 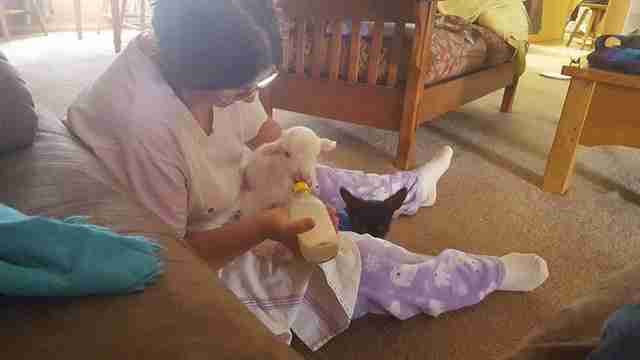 She and her husband knew that caring for the sick little lamb wasn’t going to be easy, but they also knew they had to try. 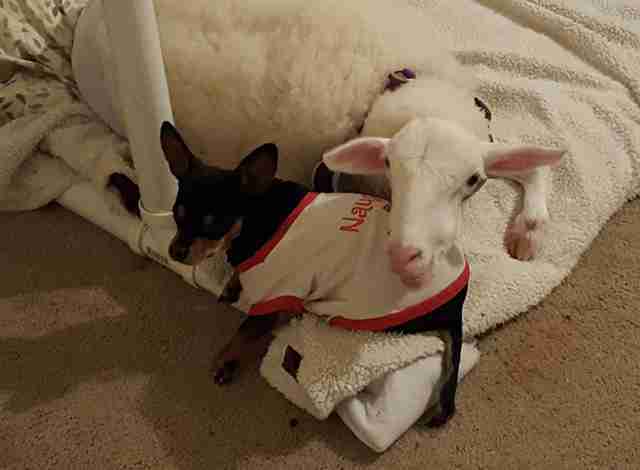 They have a knack for taking in animals who need a little extra help, and as soon as Lily arrived in their home, Paddy stepped up to help care for her, too. Both Lily and Paddy had some balance issues, but that never stopped the pair from running around their house together, pulling toys out of their toy basket and stopping frequently to cuddle. They were the absolute best of friends, and seemed to understand each other so well. Lily got around on her crooked legs the best she could for her first four months of life, but as she grew, her body became too heavy for her frail legs to support. Her family got her a bright pink wheelchair and helped her in and out of it each day. When she became too heavy for them to lift into her wheelchair, they built her a lift to help instead. Paddy and his parents dedicated their lives to helping Lily live hers, until finally, Lily lost the use of her back legs completely. 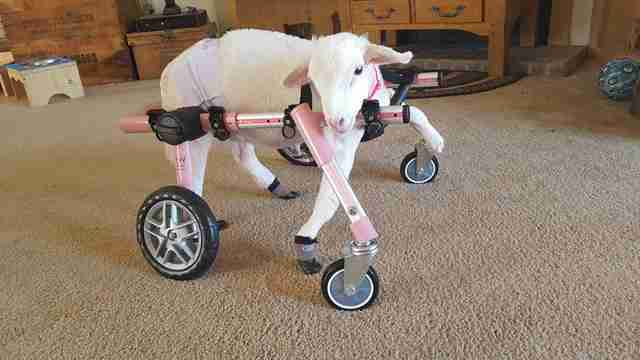 Lily the lamb passed away in February at just 15 months old. 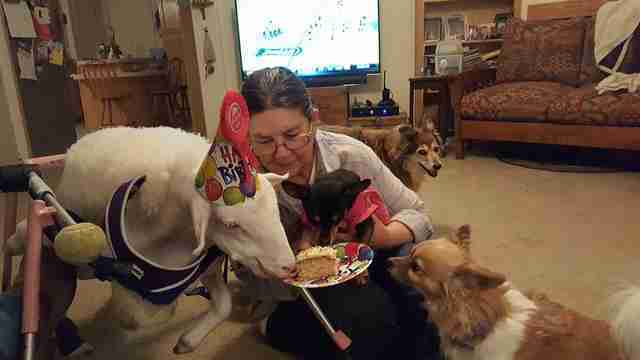 Her whole family was devastated, and poor Paddy seemed so confused as to why his best friend was suddenly gone. 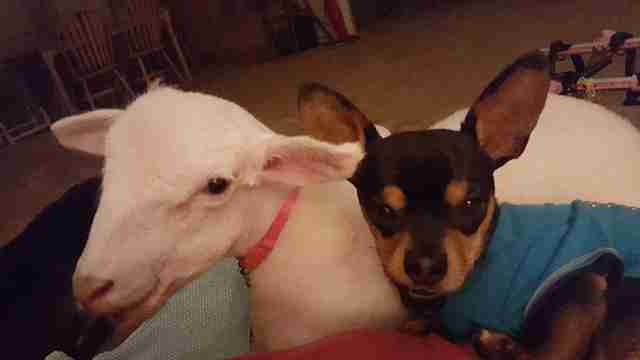 To help with his grief, Paddy’s aunt decided to send him a stuffed lamb, so that he would have something to cuddle with in place of Lily. 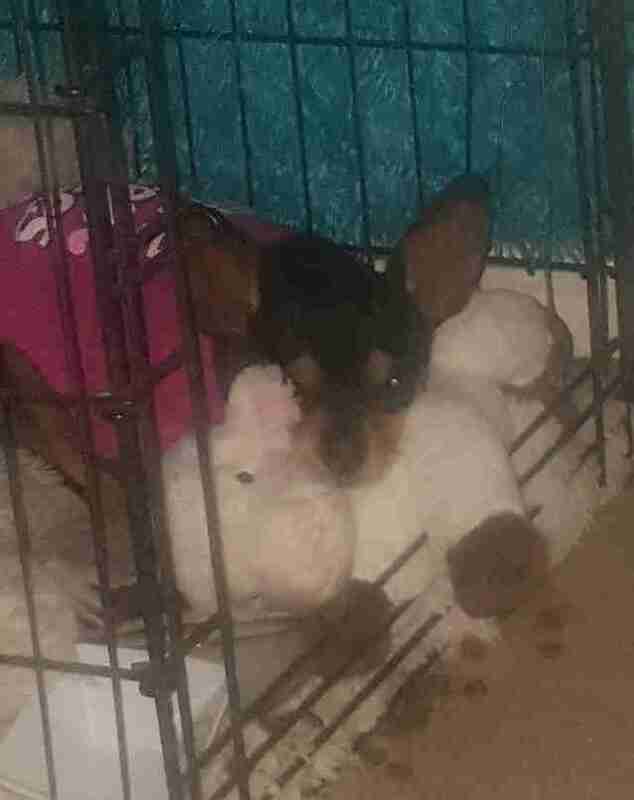 When Paddy’s mom opened up the package and he saw what was inside, he immediately pulled it out of the box and began to cuddle with it, so excited that the soft toy looked just like his best friend. Paddy clearly misses his best friend so much, but having a stuffed toy that looks just like her is helping him through his grief, and will serve as a beautiful reminder of what a wonderful friend Lily was.